MFE3 is our fourth fully electric FSAE vehicle. 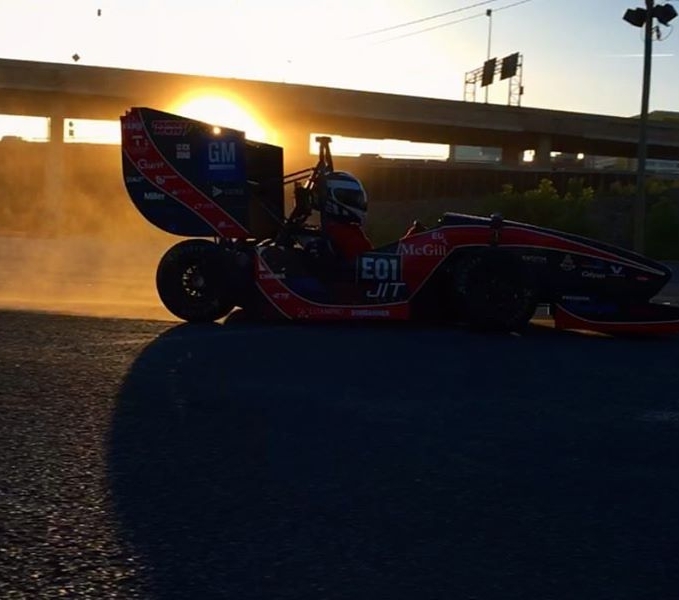 MFE 2.0 was the third fully electric FSAE race car we created. It was designed to be an evolution of MFE1.5 with notable improvements being made in the form of a one piece carbon fibre accumulator container, a complete redesign of the aerodynamics and improvements to the electronics system with a focus on reliability. MFE1.5 was the teams second fully electric FSAE race car. True to it's name, the car was heavily based off of the MFE1 vehicle. MFE1.5 managed to save 33kgs (73 lbs) over its predecessor by switching to a more efficient permanent magnet motor and creating a completely custom electronics system. McGill's first 100% electric race car: the record-breaking, fastest electric formula SAE car in North America in 2014.